ROME -- An Associated Press photo album of Nov. 17 showed dramatic scenes of the Eternal City: piles of uncollected trash, graffiti on monuments, clogged sewers, weeds overgrown in playgrounds and literally killer potholes so big they are now called "craters." The photos went viral instantly, reprinted in media worldwide. 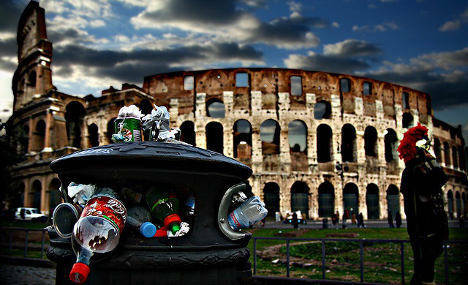 Not even Italy could ignore a headline like this: "Sights of Rome include monumental eyesores." Still, the AP reporter concluded optimistically, Romans are now saying "basta" (enough), and City Hall administrators themselves are finally trying to fix the mess. Oh, really -- Is City Hall getting down to business at last? If so the results are not just yet visible, unfortunately, and among the so far unresolved bones of contention is the Colosseum itself. In one AP photo the sign indicating the way to the Colosseum is entirely obscured by ads. But tacky signs are the least of it. Far more seriously, the latest to worry even the non-experts is a project to create within what is now called the "Colosseum Park" a "Services Center" -- that is, a covered area incorporating a ticket office, information counter and bookshop, doubtless to include sales of souvenirs. "They want to transform the Colosseum into a megastore," was the angry reaction by Adriano La Regina, the distinguished former superintendent of Roman archaeology. "It is crazy. Beyond the security risks, from the archaeological point of view this would have a devastating impact," he said in a press interview Nov. 17. The area on which the "Services Center" would be built overlies some of the very earliest strata of the city, as yet unexplored, and La Regina's objection is that the planned commercial center is simply outsized. "To cover the area with cement for new buildings would be a desecration," he said. "It would entomb definitively an important historical area instead of allowing it to be studied." 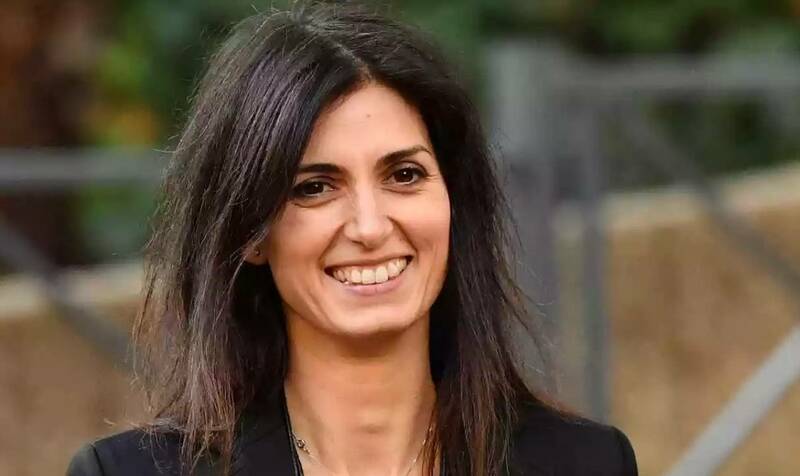 Whereas the Colosseum is under the administration of the national government through the Ministry for the Cultural Heritage, supervision of most of the rest (the exception is the Vatican City) falls on Mayor Virginia Raggi, who represents the anti-establishment party Movimento Cinque Stelle (M5S). Just last week she and her enthusiastic followers celebrated because she was found not guilty of a cover-up lie involving corruption allegations regarding her associates. On learning that her closest associate was under investigation, she contacted him saying, "I knew nothing of this." But as court records showed, she obviously did know. Still, although she was not actually cleared of lying, the court recognized that hers was not a criminal act, but a fib reflecting her political role. Luigi Di Maio, deputy premier and the head of Raggi's M5S, shares government with Matteo Salvini of the rightist Lega party. A group of M5S followers celebrated Raggi's acquittal by attacking the Italian press. Raggi, said Di Maio, had been a victim of the media inventing "fake news." Nevertheless, the attacks on Raggi for the dismal situation of Rome show no let-up, for, as the AP photo essay testifies, they are not the least bit fake, sad to say. Vittorio Zucconi, US correspondent for La Repubblica daily, commented that, "My starry-eyed American friends ask me to help plan their Roman holiday. They ask me to tell them the name of the best restaurant in the city (as if such a classification exists!). But I never know which truth to tell them: about the disgusting squalor you can see along the Tiber or the suffocating marvel of the sunset colors. Or should I warn them about the wild 'zoo' involved in a visit to the Colosseum? Or beg them to take it all as an adventure, a challenge, Rome being the city that has too much to offer and therefore seems to be ashamed of its own magnificence?" So whose fault is all this? Many are blaming not only Raggi, but her predecessors. But that is not at all clear. 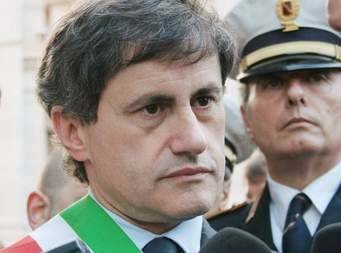 Gianni Alemanno, mayor from April 2008 through June 2013, came from the far right and was accused of being a fascist, charge he denied. However, he was openly anti-immigrant and anti-Roma (gypsy) and took actions on both issues. In 2014 he was investigated for alleged Mafia association, charges that were dropped last year. However, in 2015, he was indicted on allegations of corruption illicit campaign financing. Allemano was succeeded by Ignazio Marino, a politically progressive surgeon who came to politics belatedly, and won the mayoral race in 2013. Prof. Marino served through Oct. 12, 2015, when he resigned in a storm of accusations that he had overspent on expenses. Two weeks later he withdrew that resignation but was nevertheless forced to leave office when 26 out of the 48 City Councilmen resigned. 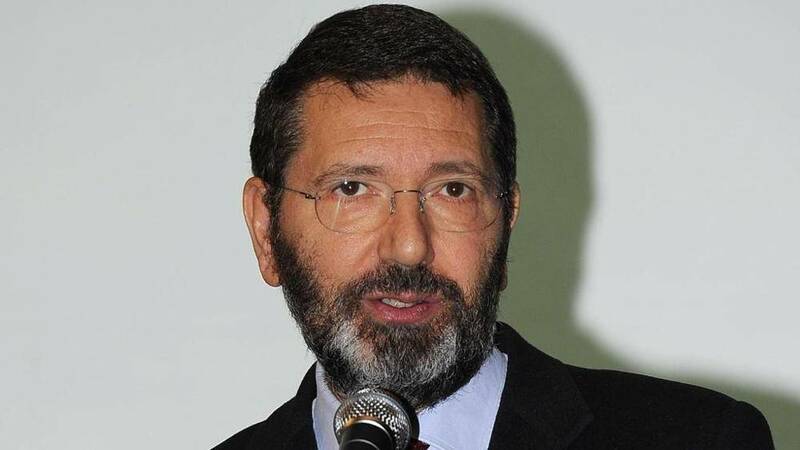 Put on trial after harsh accusations of embezzlement, fraud and forgery, spearheaded by the M5S and the rightist Fratelli d'Italia, he was however fully acquitted Oct. 7, 2016, when the court ruled that the alleged facts "did not take place." He had previously informed prosecutors that an organized crime network had approached him.